Zellie has had an interesting life for a cow. She started at Family Hill, her mother Babette being bred there. While pregnant, Babette was sold to the nuns of Our Lady of the Rock on Shaw Island, the small island in the middle of the San Juan Islands. Mother Therese milked Babette for their raw milk dairy and Zellie lived there for the first year and a half of her life. Mother Therese needed more milk, so we traveled to the island with a truck and trailer, across the ferry, and delivered Candy, who they renamed Dulce. While visiting, the nuns showed us the animals. Out in the field with Babette was a huge heifer….Zellie! So, we sold Dulce and bought Zellie and hauled her back to Family Hill Farm. 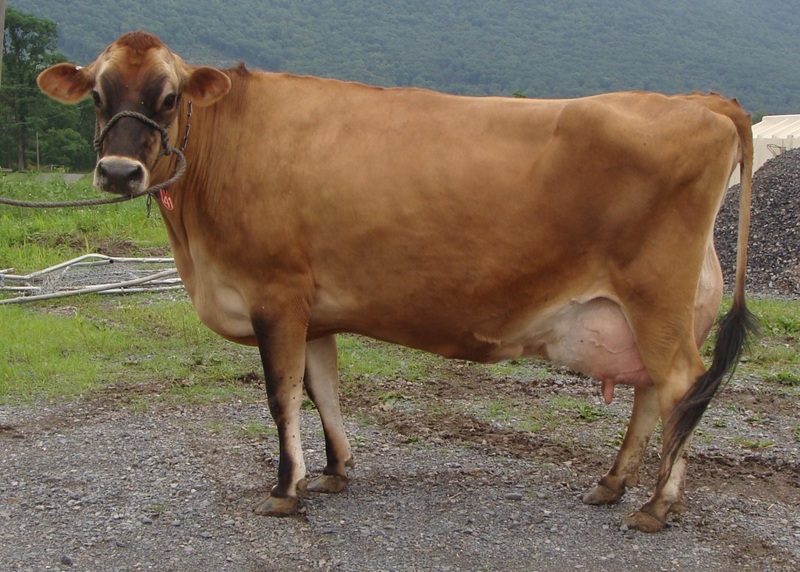 Zellie got bred at Family Hill Farm, then traveled with Michelle to Colville, where she showed at the NE Washington Fair. 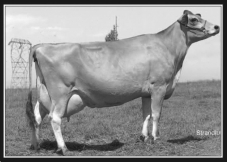 Zellie first calved in Colville, where Michelle and her dad Joe quickly learned that she was going to be a powerhouse milker. Zellie’s always got a watchful eye and being one of the tallest cows on the farm, she can see a lot. 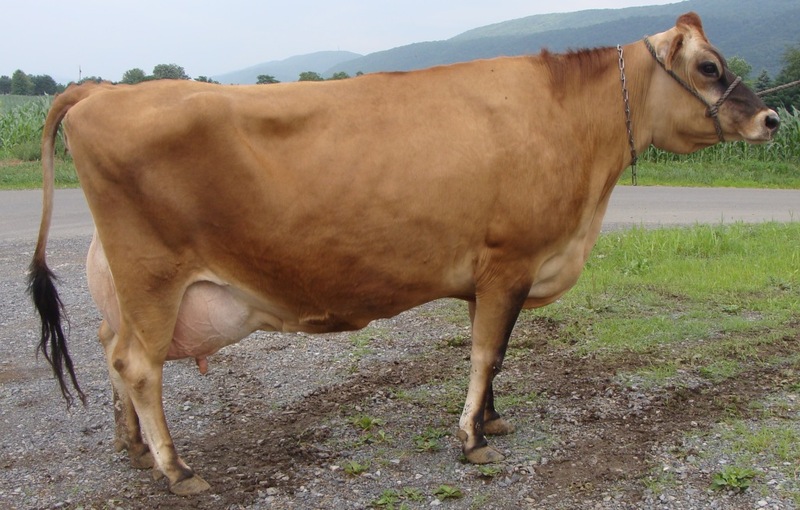 Zellie was a lot of cow for the small farm, so she traveled back to Family Hill Farm. She was winning Sr. 3 year old at Puyallup Fair in 2006. Zellie then traveled to Pennsylvania when Jay and Michelle moved. Since moving, maybe there’s something in the water? Zellie has had two heifer calves, a Minister and a Barbaro. We are very excited to see the Minister calve in soon! Photo (above) taken June 2011. Zaidi is due to calve October 2011 to Socrates x Centurion. Photo (below) taken at New York Spring Show in 2010, Jay and Zaidi. 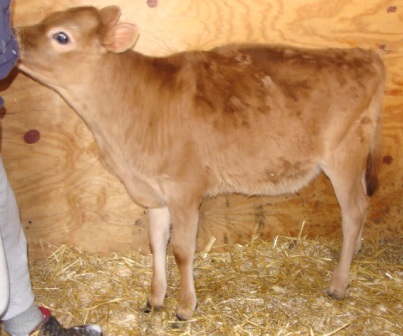 Spirited Rose Barbaro Zia – Consigned to the Carroll County Calf Sale in Westminster, MD Spring 2011. Why is this section called “Shaw Island cows”? Does Zellie not live in the herd where your other cows are housed? Just curious. 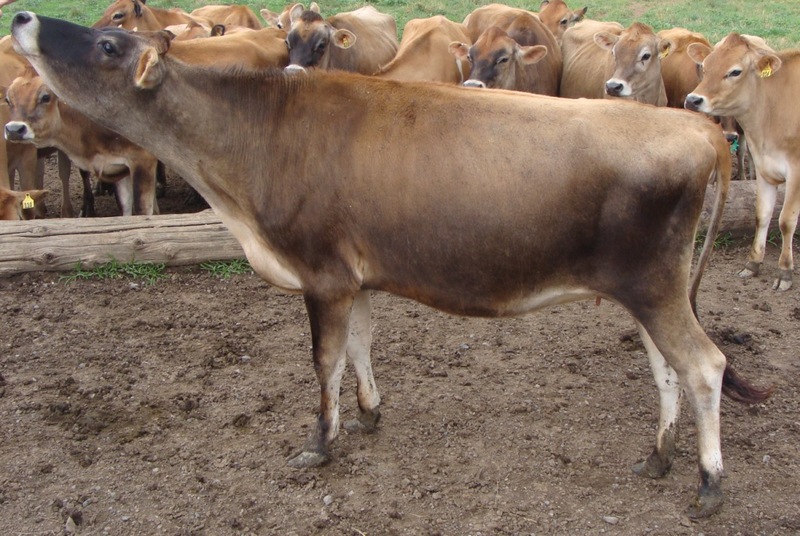 I picked it as a name to associate that cow family separately. Zellie’s mother was sold to the nuns on Shaw Island. The nuns own a large section of the island (ourladyoftherock.com) and have a mission to help people in need, but to also help preserve rare breeds and rare arts, such as raw milk! When we went to take them another Family Hill cow, Jay spotted this beast out in the field. Well, Mother Therese and Jay worked out a price, and Zellie came back with us on the trailer! So expensive to get a trailer on a ferry, we just had to make it cost effective, right!? And besides, my dad thinks Zellie is about the most awesome cow I think he would be disappointed if she was not given her own page! !